Have you ever come across a Tupperware-like container in the woods filled with little toys and wonder why it was there? This was not a pirate’s lost treasure, but rather a part of a game of hide and seek played by tens of thousands of people worldwide. The game, called Geocaching, allows the player to uses GPS devices to locate hidden treasures or caches using coordinates and clues. Sounds easy, you just walk to where your GPS says and you find it, right? Well, sometimes it is, but usually due to errors in the GPS devices (commercial GPS’s may be accurate to between 3 – 30 feet depending on the device) and the clever hiding skills of the cache owner, the games may become more interesting. The game of geocaching is quite simple and only requires a GPS device, a list of coordinates to cache locations, and a desire to explore and see new places. In the past, the GPS device was typically a dedicated hand-held device such as those used by hikers. However, now virtually every cell phone is a GPS device and apps have been created specifically for geocaching. The hiking GPS devices tend to be more accurate, but using a cell phone makes the threshold to entry quite low and allows you to play whenever you would like or wherever you are. To obtain a list of coordinates, you can use one of a number of online websites dedicated to the game. One of the oldest, and most popular, is the website: Geocaching.com. To get started, all you need to do is register; a standard account is free. After you log in, you can search by address, a location, or by GPS coordinates. The website provides a list of caches in that area and can even provide a high level map of the area showing the general location of the cache. Using an app on your smartphone is even easier as you can download the coordinates directly to your phone. In addition to Geocaching.com, there are a number of other websites dedicated to a geocaching. A few of these include Opencaching.com, Navicache.com, and Terracaching.com. 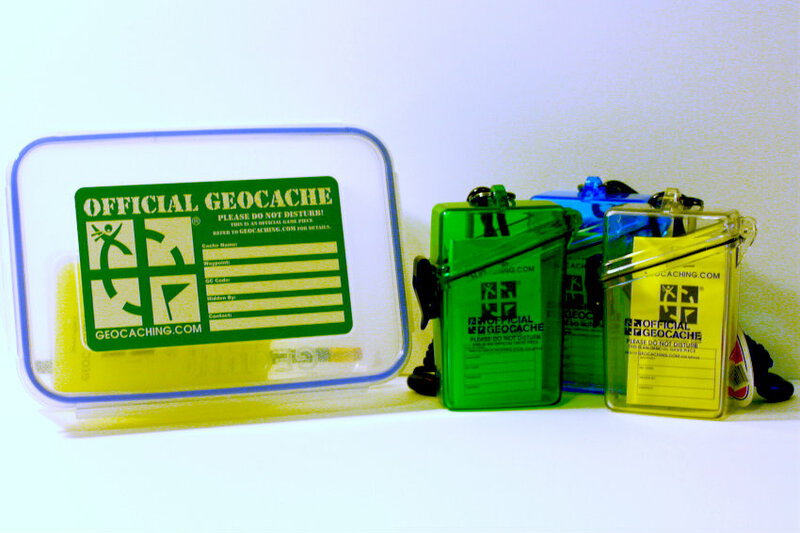 One variant of the game, located at the website, Earthcaching.org, is a joint venture between the people from geocaching.com and the Geological Society of America. This site is dedicated to earth science and guides its players to locations having unique or interesting geological features. With your coordinates in hand (or in phone), the adventure begins. Following the GPS’s compass, you explore until locating the area where the geocache is hidden. The geocache may be in a stone wall, inside an old log, or in a tree. Generally, the cache owner will provide hints on the geocache webpage to help you in your search. The geocache will contain a logbook to record your find and often have trinkets or toys to exchange. Sometimes, if you are lucky, the geocache may include a “trackable” these treasures include a serial number that you enter on the geocache website. Then, on your next geocaching trip, you leave the trackable item in a new location. You can then follow this item as it travels around the United States or even around the world. There are many geocaches waiting to be discovered in the Harwinton area including ones on Land Trust properties. Our first geocache in the HLT series is located at Laurel Marsh. We hope to soon have geocaches available on all of our properties to encourage the public to visit and discover these beautiful lands. Are you ready to explore? Just download that app, follow the compass, enjoy the outdoors, and see what treasures you can find.